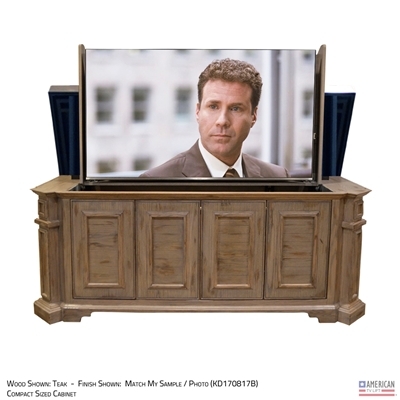 The Traditional Irvington Outdoor TV Lift Cabinet is the ultimate solution for your outdoor entertainment area. American TV Lift engineers have designed a weather safe fortress for your outdoor television, in fact you could probably even use any TV as secure as this TV Lift is, although we don't suggest it, it is possible. 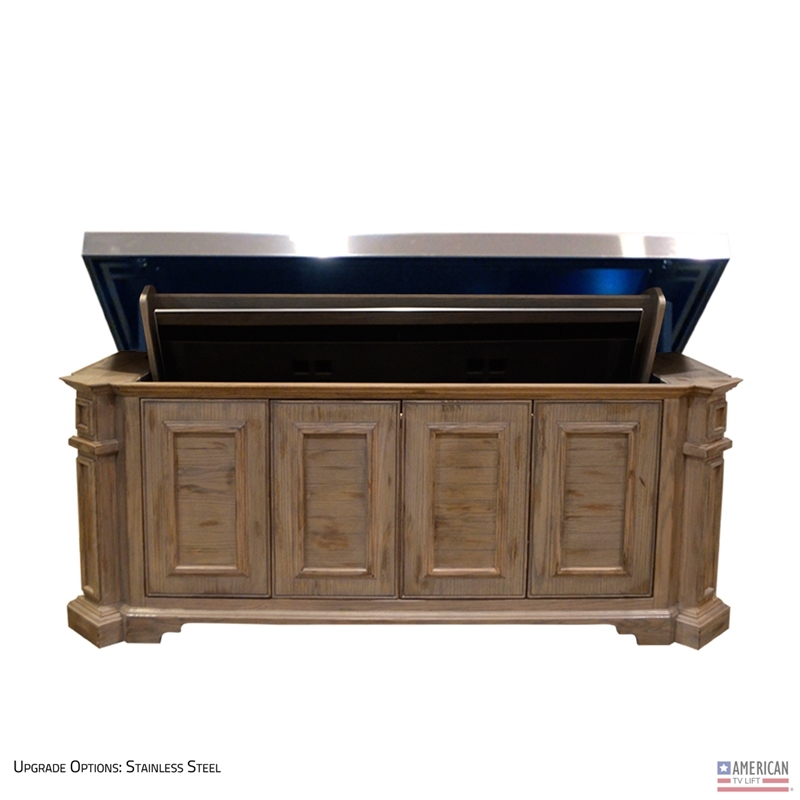 This beautiful traditional cabinet features strong traditional woodworking features such as hand carved details, and multiple lines leading the eye in many directions. 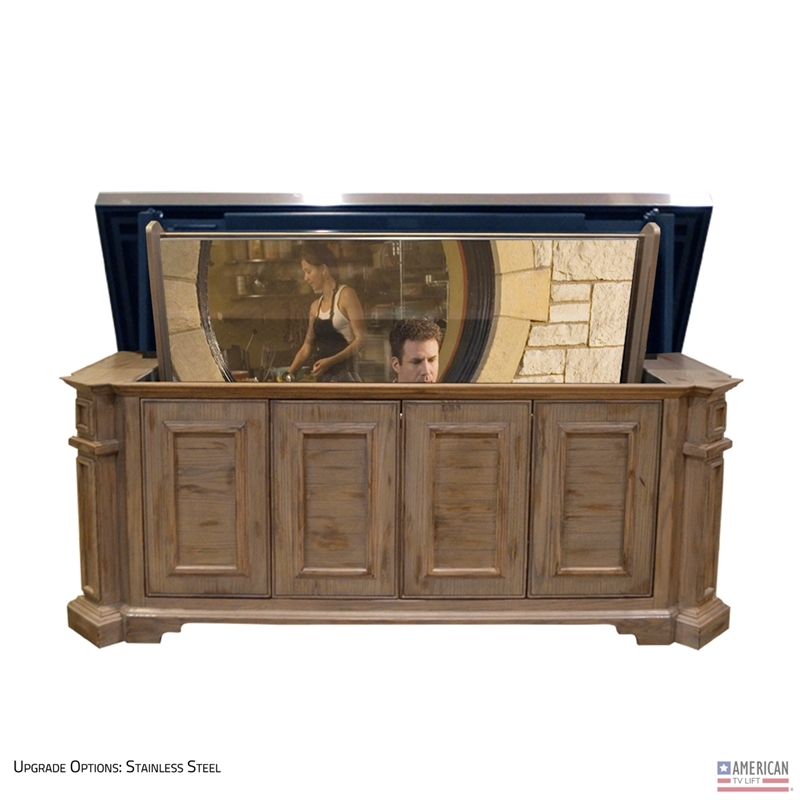 Our outdoor rated TV lifts feature a flip top lid with a slight overhang allowing rain water to run right off the side protecting the inside of the cabinet. 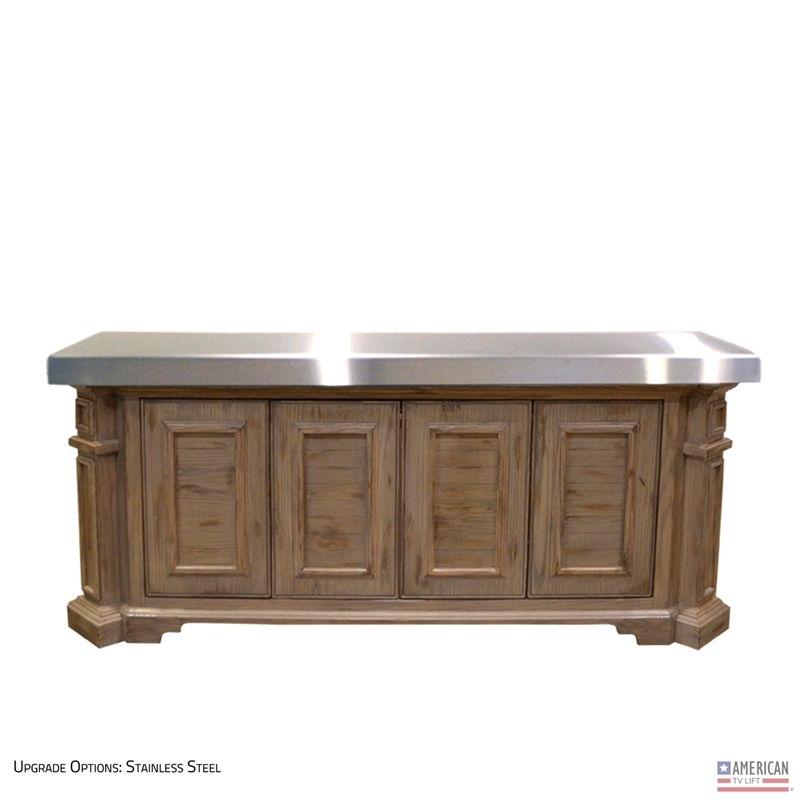 This lid can be a wood top, a stainless steel top, or even a stone top of your choice giving you the flexibility to match your outdoor living space design.